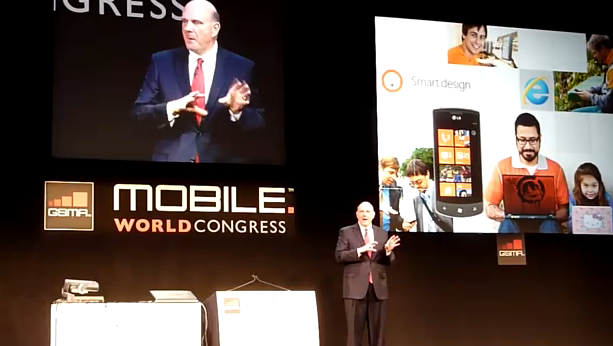 There was plenty of news in today’s Mobile World Congress keynote featuring Steve Ballmer and Joe Belfiore. The folks at Smartphonemania.cz have edited the hour long presentation into a very manageable 7 minutes. We’ve detailed the Windows Phone 7 software roadmap÷ here if you’re not the video type or looking to digest the info in less than seven minutes. There needs to be a Windows Phone 7 tablet. That would expand the ecosystem. Without that, it makes me think that Windows Phone 7 would only be a temporary solution before Windows 8 arrives, which Ballmer says will run on everything (desktop, phones and tablets).